Two and a half years ago, I bought myself a dandy little netbook, and then loaded it with Ubuntu 10.04 Lucid Lynx netbook edition, which it ran until about a week ago. With three years of long term support closing to an end, I had to decide which Linux distribution I would use for this machine, given its limited power and somewhat advanced age. And so I decided - something simple and lightweight. 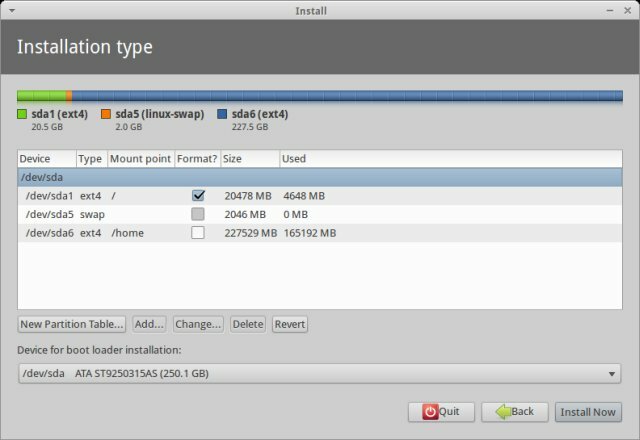 And while I was tempted to try Ubuntu with Unity, Kubuntu Plasma and Cinnamon, I decided to forgo all the performance games and go for a proven solution. 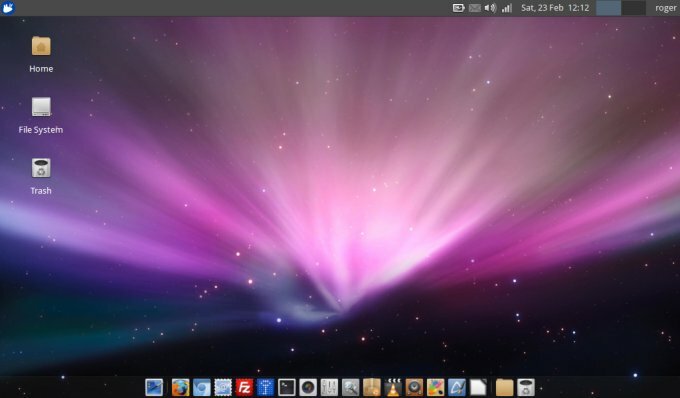 So I settled for Xubuntu 12.04, the latest LTS, which has impressed me a lot. And even though Xubuntu Quetzal is even better, it has a shorter life span, too short for my needs. So let's see what gives. If you recall, the netbook comes with an Atom 450N hyperthreaded processor clocked at 1.67GHz, 1GB 667MHz DDR2 RAM, a basic Intel graphics chipset, and a 250GB 5400rpm disk. You also get a fairly ok 1024x600px resolution, Wireless N, three USB ports, a VGA port, and a smart-card reader. The installation was simple and quite, without any fussing or problems. I reused the home directory, so I did not have to lose all my configurations and settings, nor approx. 130GB worth of data. The process was quick, maybe twenty minutes all in all. I will fast forward between the first boot and the subsequent pimping that I performed in order to get the machine to the state I liked. Basically, I used Faenza icons, a much better looking if somewhat corny wallpaper, nice windows decorations, transparent icons text, and on top of that, I installed VLC, FileZilla, TrueCrypt, LibreOffice 4 (yup), Chromium, and a few other programs. And remember, all of the stuff was done on a netbook, even though Xubuntu is normally labeled as a classic desktop computing operating system. Very much so! The difference is immediately noticeable. 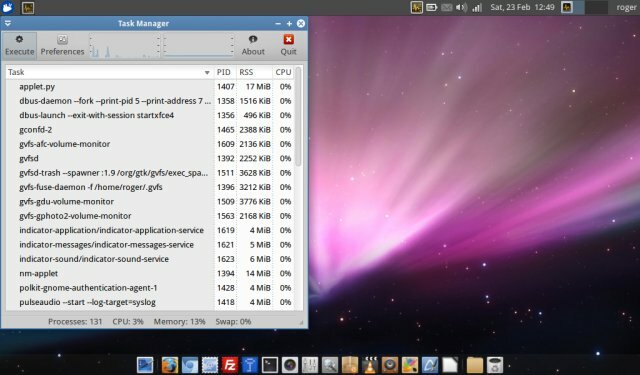 Even though UNR 10.04 was an image optimized for Atom processors, Xubuntu 12.04, which is two years younger and just a generic system for a wider range of devices, offers a significant improvement in user experience. Applications load much faster. Everything is snappier. Multitasking is easier. 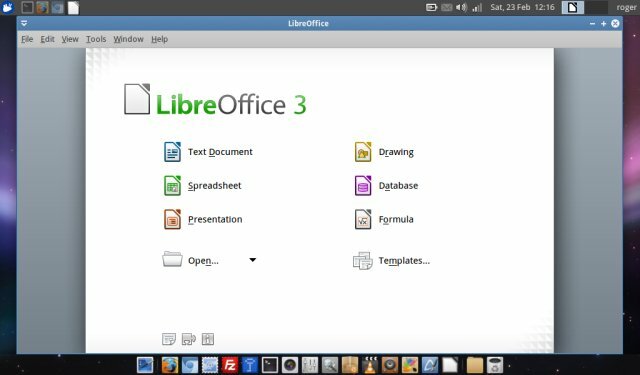 I was also greatly impressed with LibreOffice, which I've praised for a smoother and more streamlined experience in my review. But being fast on a quad-core top-range desktop with 16GB RAM is not a feat. However, doing so on a low-end netbook is. And in this regard, Xubuntu flies, and LibreOffice with it. The change is truly amazing. 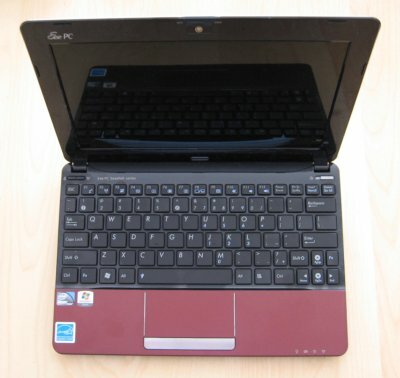 Previously, opening even as few as half a dozen documents would cause the netbook to run more slowly, and it would take time to Alt-tab between programs. This new combo is a lethal weapon of responsiveness, as if you're running on a much faster processor and with a plenty more memory. Dagnabit! Let's make an erratic jump into the realm of beauty. So aesthetically speaking, Xubuntu is truly fine. Precise Pangolin offers grace, crystal-crisp icons and fresh, vivid colors that come with jolly good precision to bear on the small screen. I sound like a fanboy, but Xubuntu excels in the visual presentation layer. It exceeds Lucid in pretty much every aspect. Now, the geeky parts. Xubuntu Precise Pangolin is a quick animal. CPU usage is minimal overall, and memory consumption revolves around 250MB. This is less than what Lucid would take on this box, even though we fast forwarded two years into the future. Moreover, the CPU behavior is amazing. Now, the tricky part. With Lucid, I managed some 8.5 hours of battery life with Wireless switched off and the screen dimmed. Xubuntu Pangolin offered me 7.5 hours in the same conditions. We should bear in mind that the machine is now older than it was when purchased, and that the battery may have deteriorated a little. Or there could be a tiny power snag in the kernel, eating my ions. Anyhow, 7.5 hours is still a respectable figure, and more than Windows 7 Starter edition used to promise and offer three years back, by a whole of two hours or so. We should also take into consideration the Fn keys and fan control. As you remember, this was somewhat of a sore point in Lucid. With Xubuntu, things are better, but still not perfect. With standard kernel parameters, all of the Fn keys worked, except the Sleep button. Changing the GRUB2 defaults to include acpi_osi=Linux solved the key problem, but introduced a side effect. The monitor would not dim automatically when the machine was unplugged from the power supply. As for the fans, we will have a separate tutorial coming soon. The combination of Xubuntu 12.04 and eeePC is amazing. This Linux distro has breathed fresh air into the lungs of my netbook. Unless it dies because of hardware fatigue, it should breeze on for a few years more without any trouble, blessed with an enhanced and improved presentation layer, much faster responsiveness and multitasking, and the latest set of programs and gadgets. Really nice. So if you happen to have a netbook, I do warmly recommend you give it a try with an Xfce-flavored distro, you're bound for a pleasant surprise. Well, not a surprise, if you know what you're expecting, but you get the drift. I am also planning to revive my eight-year old T42 laptop. It's a 32-bit machine with 1.5GB RAM, so hardly a cripple by any standards, still it would be great to see how it can handle the latest operating systems. 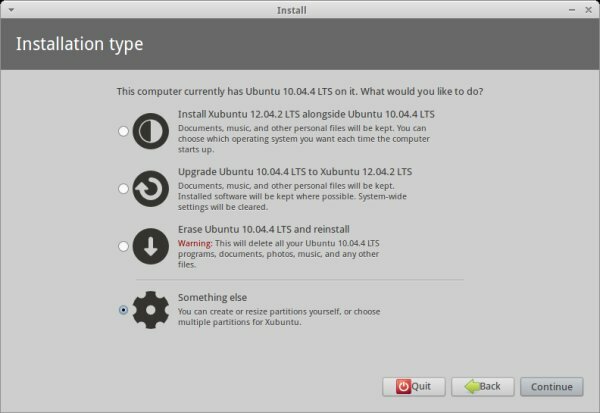 Again, I was considering Xubuntu or maybe Lubuntu, but I would appreciate your suggestions here.